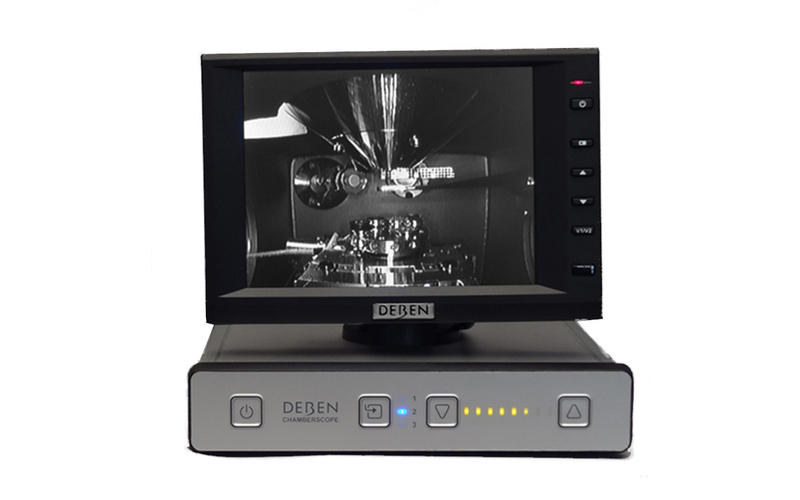 Deben can supply a TV chamberscope for your SEM using an internally or externally mounted high resolution camera with infra-red illumination. The chamberscope can be mounted on any available free port, even one not directly in line with the centre of the column. There is a choice of wide angle or zoom lenses which are user interchangable. Systems are available with or without TFT monitors and with optional USB control and image display. Deben chamberscopes are available for all SEM makes, contact us for a quotation and to check compatibility on your SEM.